It is very difficult to imagine any modern apartment or house without a beautiful flat floor. In creating a well-appointed room, he performs one of the most important roles. Modern technology allows you to make a flat surface in a short time. Before you begin to equip the floor facing material, you must first align it. People who have absolutely no professional skills in construction should not be worried, as it will be described later on how to level the floor in an apartment on their own. It will take a lot of effort to work to get a really good result. Leveling scheme for a concrete floor. When entering the apartment, people first of all pay attention to the floor covering. Knowing how to level the floor, you can create not only an aesthetically pleasing, but also a durable coating that can withstand the load of the furniture and the residents themselves. In addition, a perfectly level floor is a prerequisite for some facing coatings: laminate, parquet, linoleum, etc. As is known, over time, floors have the ability to deform and dry (in the case of wooden floors). Therefore, there are several techniques to help level the floor in the apartment. What you need to know to flatten the floors in the apartment? Cement screed for concrete pavement. Many people are accustomed to thinking that doing certain construction work requires calling experienced craftsmen. But many works can be done independently. Modern technologies allow you to create materials and tools, with the help of which, the human factor in the work becomes insignificant. For example, there are special laser levels that, with an accuracy of 1 mm, will show the flatness of the floor. In order to subsequently be able to lay such coatings on the surface as laminate or parquet, you need to carefully level the floor. Before you begin the process, you need to make sure that the floor is uneven. To do this, you need to set the level on the floor and see the degree of unevenness. You can use the modern laser level. If it is not available, then the usual water one will do. The laser level is a special installation that allows you to find out how uneven the floor is with the help of a directed stream of laser light. To do this, take the level and determine by eye the highest point on the floor. Then aim the laser at her. After turning on the laser, it will outline the red line around the perimeter of the room. If the laser does not "catch" other points of the plane of the room, then the position of the highest point was found correctly. If it crosses other places of the floor, you need to send the laser again and see if there are any other points of contact. Now that the highest point of the floor has been found correctly, you need to mark all the perimeter and draw a common line with a marker. This feature will be the level of the future floor. 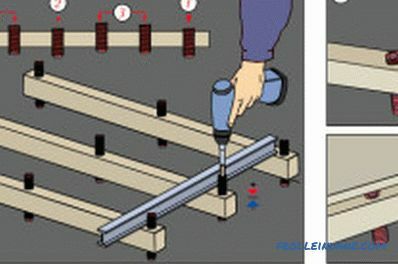 The sequence of installation of the adjustable floor. You can use the traditional water level. You need to take the usual prose put a tube of water into it and pour water into it. Then, at a level of 30 cm from the floor, attach a tube to the wall and mark it up to determine the level. You will get an accurate indicator that can be repelled later. Next you need to determine with a ruler or tape measure the highest point of the floor and the line along the perimeter along it. As a result, you can get almost the same data as when using a laser. Beacons for construction. Can be made of various materials: stretched thread, metal or plaster. Tara (utensils) in order to mix the solution. Construction level - water or laser. You can level the floor using one of the following methods: dry screed, cement-concrete screed, self-leveling mixture, plywood, and PVA-based putty. First you need to dismantle all flooring down to the concrete base. Then the floor moisture is checked. Mark all strong irregularities of the coating. Next comes the rough preparatory work.At this stage, it is necessary to seal all free spaces, cracks and voids. Next, beacons are set, along which alignment will take place. The solution is prepared (mixed) for application. A cement-sand mortar is applied. After the solution dries, you need to prime it a second time. The floor is equipped with heat and waterproofing. However, this technique is general, each individual case has its own nuances. How to level the floor with a dry screed with your own hands? 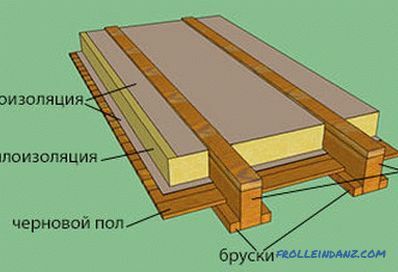 A polyethylene film is laid on the floor plates. It performs the function of waterproofing. Next, a granulated leveling mixture (about 5-7 cm) is poured onto this film. This layer simultaneously performs 2 functions: leveling and insulating. 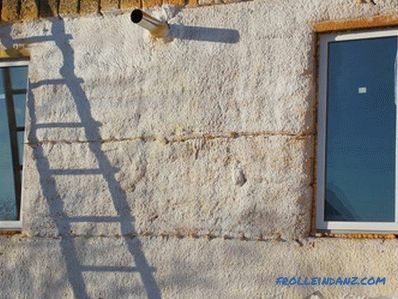 Therefore, it saves money on thermal insulation. 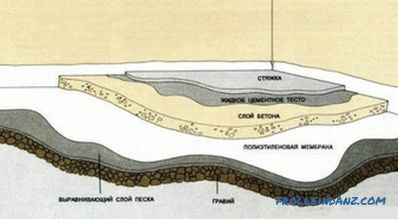 Sheet material is laid on the layer of granulated mixture. It turns out dry screed, which completely aligns the floor surface. Installation of dry screed takes place in a short time and does not require any special skills. No need to mess around with a wet solution and get your hands dirty. In addition, to perform a wet screed alone is almost impossible. As for the process of dry screed, it is done in sections, one by one. 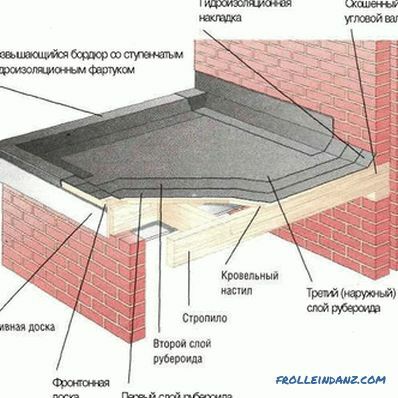 High thermal insulation is ensured by the granulated layer. In a dry tie, it is much easier to assemble and dismantle the necessary communications. One of the most significant advantages of such a screed is that it can be used on any basis: from wooden to concrete. This type of screed is mainly used for leveling slabs, foundations, highly uneven surfaces (up to 6-7 cm). This coating is preparatory for the subsequent installation of another cladding material. First, you need to completely dismantle the old coating. Then reinforcement is made using special metal reinforcement. This allows you to make the design monolithic. 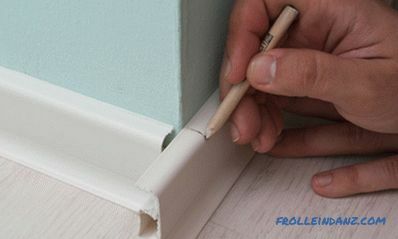 Cutting shrinkage seams - this allows you to prevent the appearance of cracks on the floor. 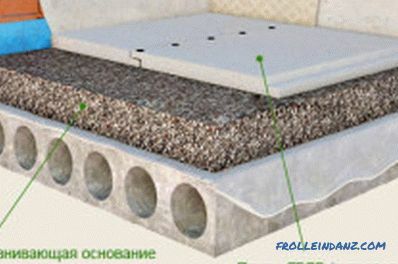 Creating a waterproofing layer - this will increase the life of the floor and protect it from moisture. Compaction - also strengthens and increases the quality of the coating. Grouting concrete - allows you to get a perfectly flat floor. For this, a special trowel is used. Thanks to modern technology, a self-leveling floor has appeared that spreads over the floor surface and forms a flat surface. Work speed. Since the solution dries quickly, you need to work at a pace. 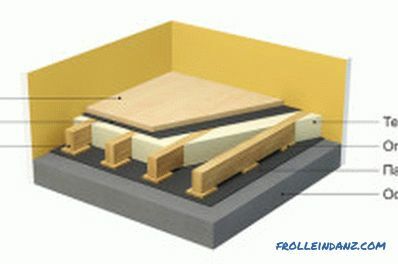 If the floor area is very large, then it is recommended to divide the surface into sections. Temperature. 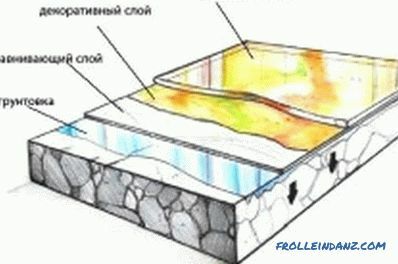 All work must be carried out with the mixture at a temperature not lower than 10ºС. The mixture is applied with a steel spatula. Dries the floor for half an hour. However, you need to wait about 3 days to complete drying. Such a floor must be covered with facing material. You need to follow the clear instructions on the package. Consider the time during which the solution will spread throughout the room. The room temperature should not be below 10 ° C.
Before the floor surface is completely dry, other installation work is prohibited. This completes the process of leveling the floor in the apartment. It remains only to wait for the complete drying and finish finishing coating. The apartment became the owner of new floors. How to dismantle the wooden floor with their own hands. Materials and tools necessary for work, preparation for the process. Features removing the old flooring.